Are you considering offering aesthetic treatments as a new part of your practice? Do you feel tired of the daily stress of traditional medical and are interested in how you can boost your practice revenue with cosmetic injectables? Learn how you can seamlessly integrate cosmetic injectables, including botulinum toxin and dermal filler treatments, into your practice with PTIFA’s proven clinical protocols and patient care practices. Increase your practice income and offer a service your patients will be happy to visit you for. Physicians who enrol in PTIFA's educational curriculum have chosen to invest in their career so that they can achieve predictable results - while avoiding the negative side effects. 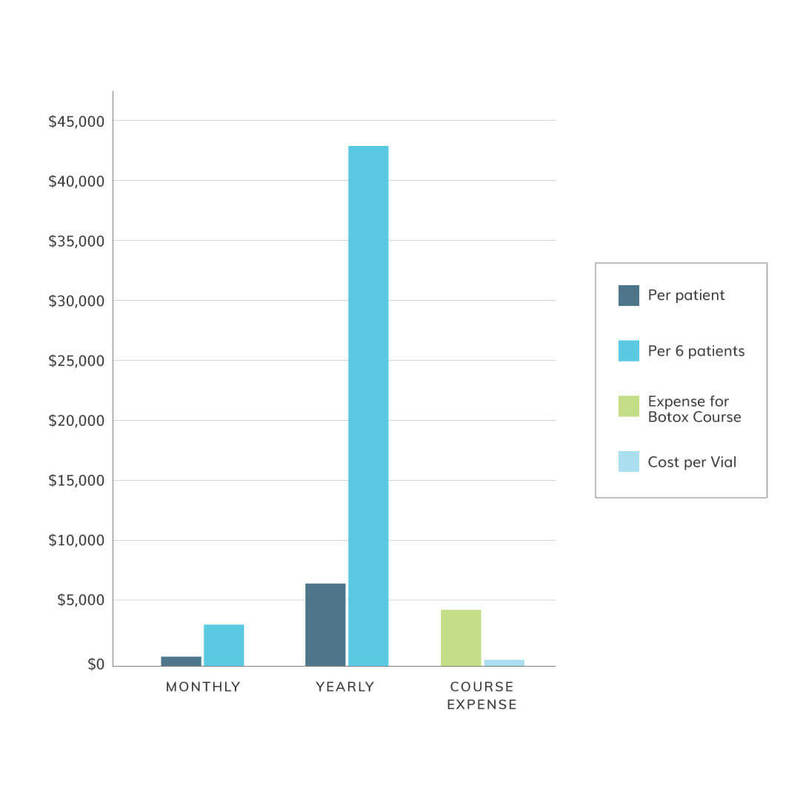 Increase practice income from patients who are prepared to pay privately out of pocket for treatment. Offer a service that allows you to spend more time with patients. Enjoy more flexibility and the ability to delegate treatments to a nurse profitably. Enjoy a more relaxed clinical environment working in aesthetic practices vs. hospital/emergency rooms/walk-in clinics. Reduce headaches/migraines. Improve the lives of your patients with proven threshold dosage levels of botulinum toxin. Improve patient care with a deep understanding of how botulinum toxin fits into your diagnostic and treatment armamentarium, and thereby improving the well-being of your patients. 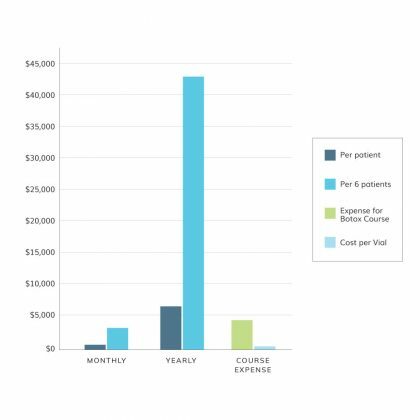 Physicians will see a complete return on their training investment in less than two months (based on seeing six botulinum toxin patients, not including cost of Dysport/Botox® product). Besides ordering product and incorporating a tray system, offering botulinum toxin as a treatment requires no additional equipment or investment. Upon graduating from Level 2, you will be able to offer both the aesthetic treatments for reducing the signs of aging (ie: fine facial lines and wrinkles), as well as the therapeutic treatments (ie: migraines/headaches). The PTIFA Botox course is hands down the most thorough and clinically relevant program available for any physician who is considering expanding their skills and services to this field. Students receive a detailed education on theory, pharmacodynamics, technique, and safety protocols required to confidently provide quality care, supplemented by hands-on anatomy lab training relevant to our medical training. Although the focus is on popular and effective cosmetic treatments, I was pleasantly surprised to discover that common and practical therapeutic Botox applications are also covered. I appreciate the plethora of resources at my disposal from PTIFA for ongoing learning and invaluable support after completing their program. My patients are happy and so am I! Drs. Roberts are lovely individuals with a wealth of expert, evidence-based knowledge and real-time skill. It is truly a privilege to be training under them. Dr. Warren Roberts is an attentive and intuitive educator, and demonstrates a permeating professionalism and openness to feedback. Looking forward to bringing these advancements and way of quality patient care back home. As a physician, I was quite sceptical to have a dentist teach me about Botox... however, by the end of the Level 2 course I felt more than pleasantly surprised, indeed it was the best and most fun CME I have attended in years. I left the weekend just wanting more and more and more.. signed up for Level 3 the next morning. Do these courses satisfy my medical college requirements? The courses at PTIFA typically exceed the requirements laid out by the medical colleges. However, please appreciate we train practitioners from across the world, and it is up to each participant to contact their local licensing college for scope and guidelines prior to registering. Can physicians delegate cosmetic injectable services (ie: botulinum toxin, dermal filler) to a nurse? Typically, yes nurses can provide these services to patients. Please appreciate that PTIFA trains medical graduates from across the world, and that we always recommend that you check-in with your local licensing college for details. I've already taken a Botox® course or have already been doing injections for a while in my practice. Where do I start? The best way to assess your current level of knowledge and training is to take our free online Botox IQ Test. We have found that typically only 1 in 50 practitioners who have taken another botulinum toxin course can confidently and correctly answer all of the nine questions. As all of our hands-on courses are based in the anatomy taught in the Level 1 course, we require each practitioner to complete Level 1. We invite you to contact us to discuss your involvement and registration. Can I bring my team to the course? Yes! We highly encourage you to register your team for the Level 2 – Team Training course. This course is geared specifically for all non-injecting team members within your office (ie: reception, office managers, chair-side assistants, hygienists, etc) and has been developed to so that you can successfully integrate treatment into any medical or dental office.